Posted January 7, 2014 by Melissa (Web Designer) . If you’re a small business owner just getting started on the web, you’ll find there are many tools available for creating your own site. We understand it’s tempting to give them a try, but before you jump in, consider the benefits of using a professional designer along with an integrated marketing plan from a marketing company that understands your business. Website builder tools can seem great at first — a simple, easy fix to upgrade your outdated site. The basics are always easy. But as you learn more, you may want to have specialized features. Maybe you want to add a photo slideshow or change the layout. You might also find out that a simple website builder tool can’t do what you want it to do – like making sure your site is responsive for mobile devices. Before you know it, managing your website is taking too much valuable time and pulling you away from running your business. A professional marketing company can help you create and manage your online presence, including your website and more, which allows you to focus on your company and what you do best. Just as all business needs are unique, website design needs are unique as well. A professional designer can help assess your business and decide what features are best. Graphic design, custom coding, and a content management system like WordPress will give you a website that sets your company apart from your competition. Developers will also be well-versed on the latest trends and design, making sure your site is up-to-date and stylish. In addition, you want to be sure that you’re properly managing your social media, blog posts and new content. Are you looking for a site that converts visitors into customers? Your website will need ongoing maintenance to keep it fresh and friendly. This is not only good for SEO purposes, but having a website with new, updated content builds trust with potential customers visiting your site. If you want professional advice and design but still want to have some control, don’t worry. Many websites are built in user-friendly content management systems such as WordPress that allow you to add pages, blog posts, pictures and products to a site very easily- even if you’re a website novice. You may decide you want to write your own blog and post news about your business, which will really help keep your site relevant. Your contribution is completely up to you. A professional touch on your website can be the difference between gaining and losing customers. Let an expert plan a site that is tailored to your business. It’s worth the investment to save yourself time and frustration and helps convert visitors into customers! 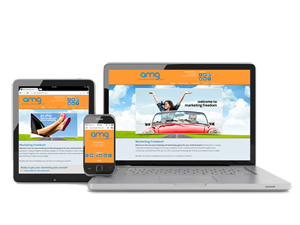 AMG specializes in web design and other online marketing services. Contact us today at 303-703-800 for a free marketing assessment, or just fill out our contact form.